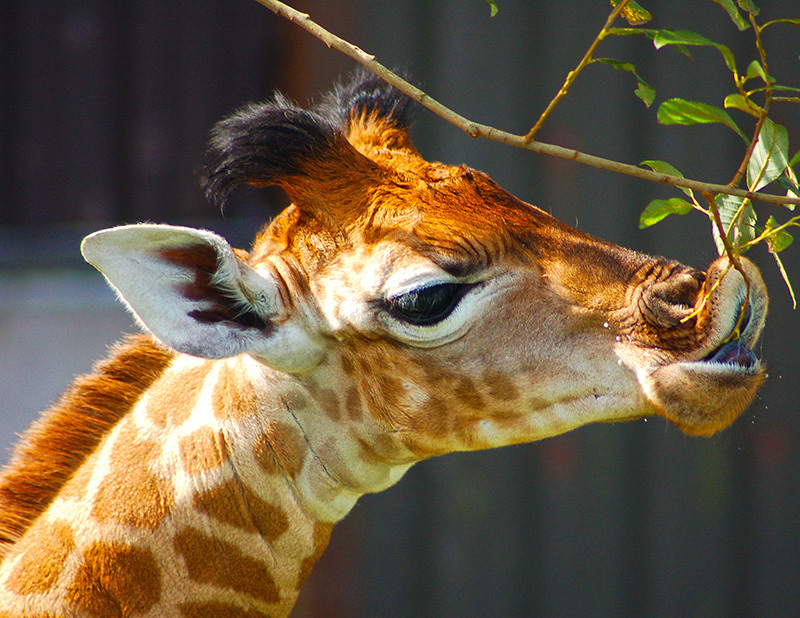 Hungry Giraffe: the April picture for the 2014 CE Murphy photographic calendar. Yes, but we can't see his/her lips in this picture... I love your animal snaps, btw. ...that's her top lip right there, slurping up the branch. If you can't see it, your screen might not be wide enough? Ah, bummer. I was afraid that might be it.